New Year’s Day gives us a new opportunity to start over. Many of us make resolutions, but by February we give up. Perhaps you need to be kinder to yourself, or need help to achieve the freedom you want to experience in your life. Here are a few steps to begin the New Year with hope! This is a critical step. When you write something down, you set things in motion. Do you want to pay off credit card debt? Write down: “I will pay off my credit card debt within two years by following a budget.” Next, look at your goals often. While writing your goals down is powerful in and of itself, the real power is in reviewing them on a regular basis. This is part of what turns them into reality. Every time you review your goal of paying off credit card debt, ask yourself: “What’s my next step to paying off my debt?” You can review your goals daily or weekly; it’s up to you. The key is to let them motivate you to stay on task! Habits don’t happen by accident. One of the biggest mistakes you can make is to assume you’ll feel like doing something before you do it. Feelings can change from day to day. Rarely will you feel like doing anything that requires discipline! Make your goals a priority by putting them on your schedule. So if you want to read through the Bible this year, schedule 15 minutes a day to read. And treat that time as seriously as you would going to a doctor’s appointment. What’s the best way to eat an elephant? One bite at a time! Likewise, break up a goal into small steps. For example, keeping your budget may require writing down what you spend each day instead of waiting until the end of the year to realize you are in the red! By breaking a project up into manageable steps, you’re making progress toward reaching your goal! So, you’ve created some clear goals for yourself and have a specific plan to follow. But after you’ve started to work toward your goals, you’re still struggling with wanting to give up—or at least slack off. Consider connecting with someone who is also working on a similar goal. Sometimes we lose motivation because we aren’t seeing changes. When we work on a shared goal, we realize that it may take longer than expected as we connect with others who are working on the same goal. Share your goals with people who are committed to your success. Find specific people in your life who’ll encourage you to persevere. For example, a mentor can counsel you so that you won’t have to learn lessons the hard way. 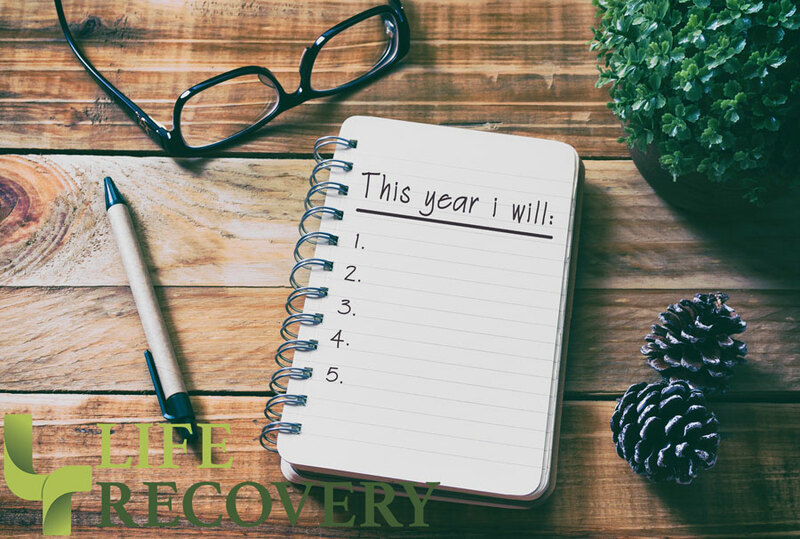 You might also benefit from getting connected to a Life Recovery Group to keep you motivated and accountable. Finding accountability will help you bridge the gap between where you are and where you want to be. Proverbs 11:14 puts it this way: “Without good direction, people lose their way; the more wise counsel you follow, the better your chances,” (MSG).